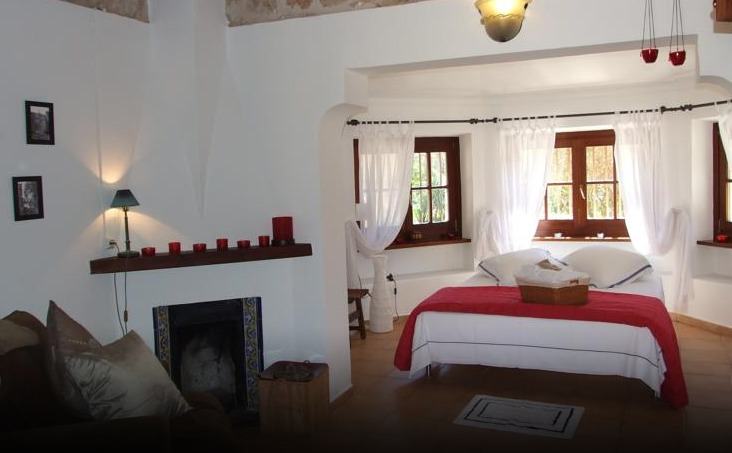 On the Spanish island of Mallorca, Finca El Pino is spectacular old stone estate set in the Tramuntana Mountains, a UNESCO World Heritage site. 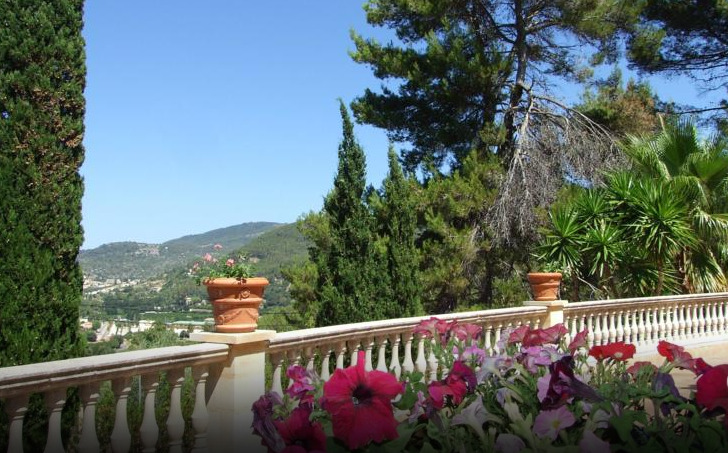 Surrounded by pine trees, with panoramic views over the valley towards the city of Palma, the Finca El Pino is an oasis of peace and quiet, with an abundance of contemplative spots in the vast private gardens. 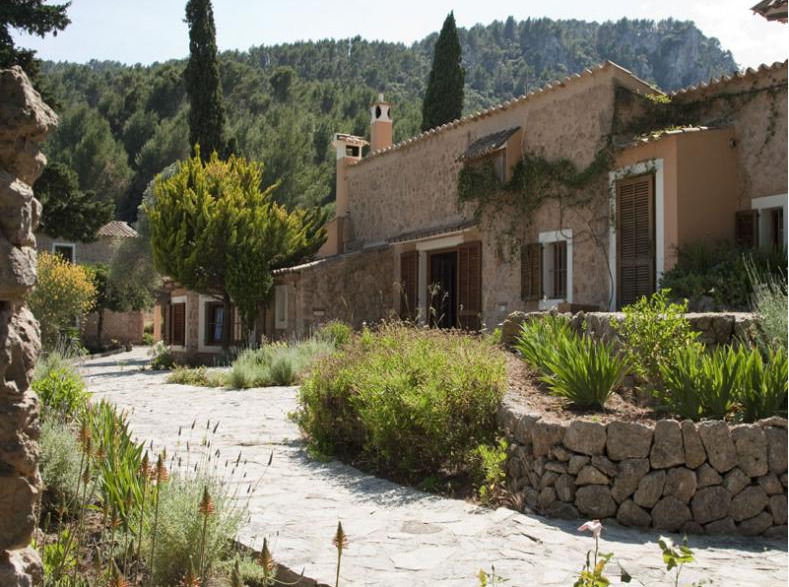 With its tile-roofed villages nestled in the hillsides among groves of olives, oranges, and almonds, the northwest of Mallorca has long served as a haven for creatives. 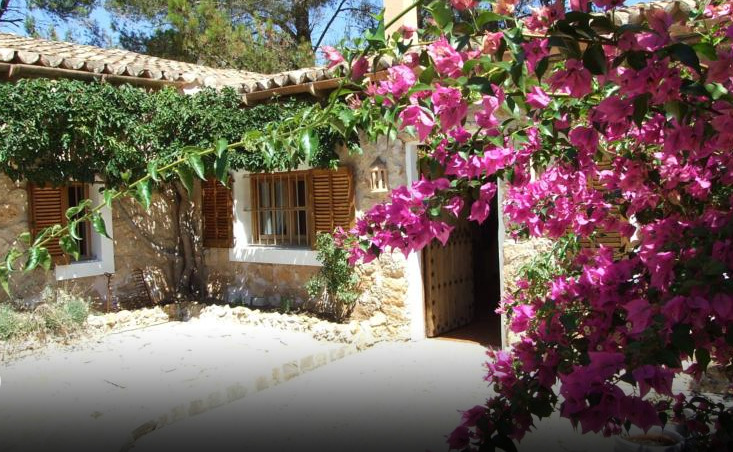 Twenty minutes' drive westward, the Mediterranean Sea touches ground at Port des Canonge and Cala de Deià, while the sandy beaches of Palma can be reached in about half an hour. 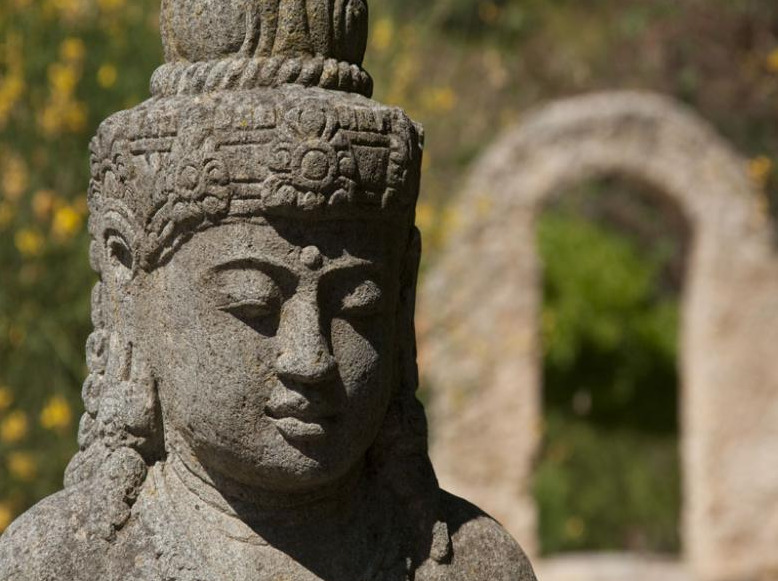 Palma de Mallorca International airport, Spain’s third largest airport, is under 30 minutes away. 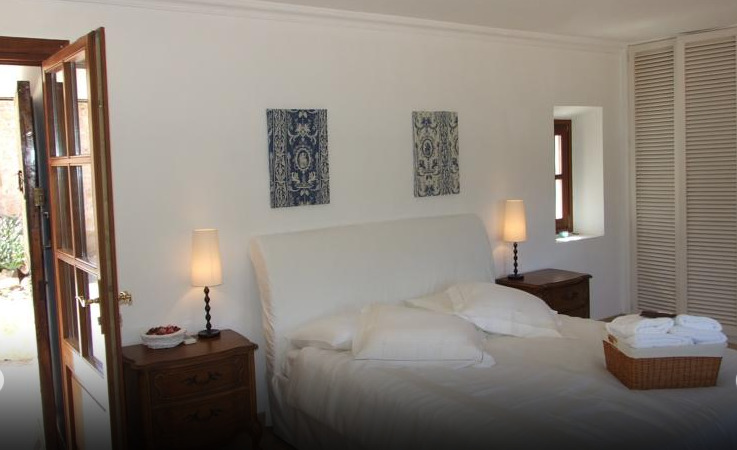 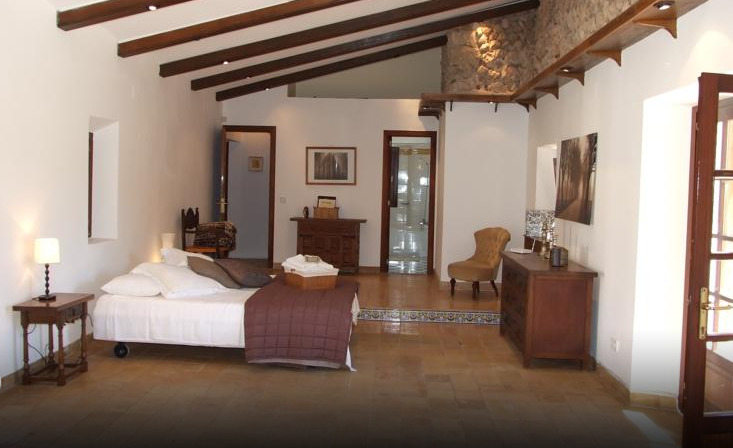 In traditional Mallorcan style with exposed wooden beams and terracotta tile floors, all rooms have en-suite bathrooms. 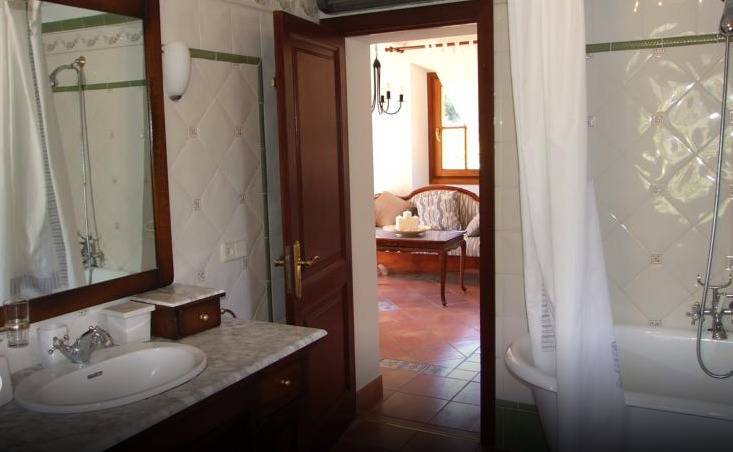 Several have fireplaces.